I’m fascinated with this salt water tidal action. We bought a little pamphlet at the local hardware that lists the high tides and low tides for the year. Did you know there are two of each every day? 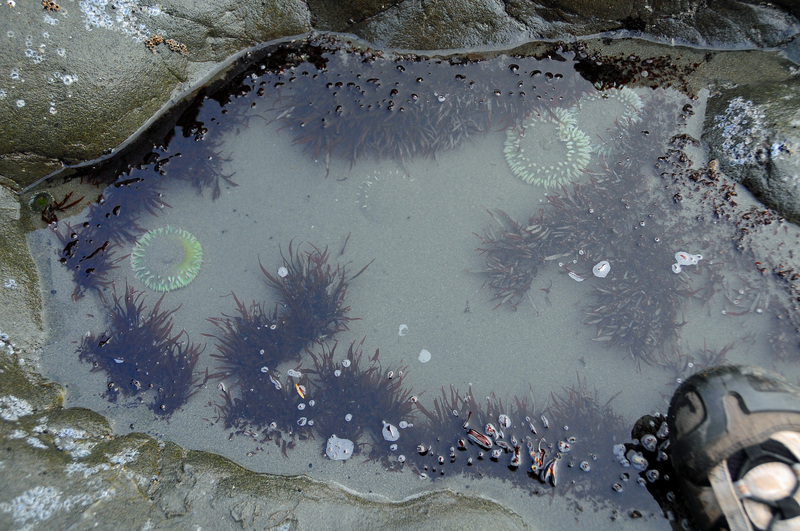 And I’ve discovered there’s life in the intertidal area! 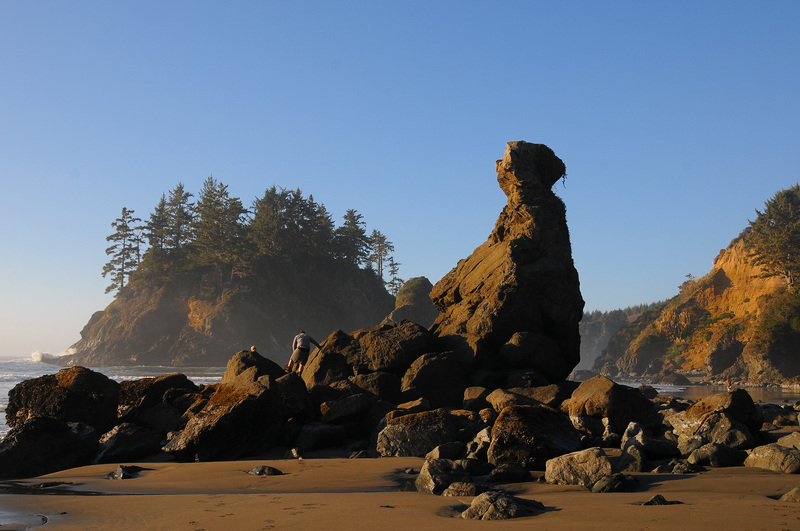 Actually, it’s called the Littoral Zone…where the land and sea meet, between the high and low tide zones. 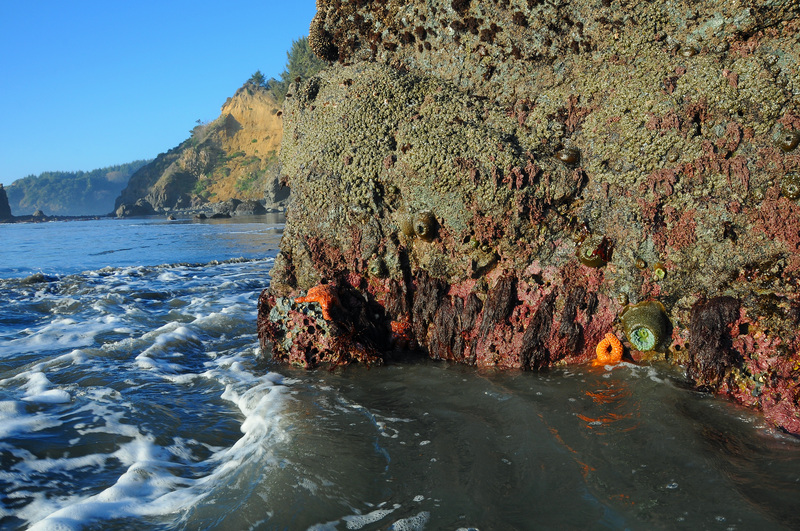 I took my little camera in its waterproof case down to Trinidad beach just before the lowest tide of the week, to scout for life in the little pools that remain among the rocks when the tide goes out. Got a fun shot of the waves and swirls that occur around some of the bigger rocks that sit out in the surf even at low tide. 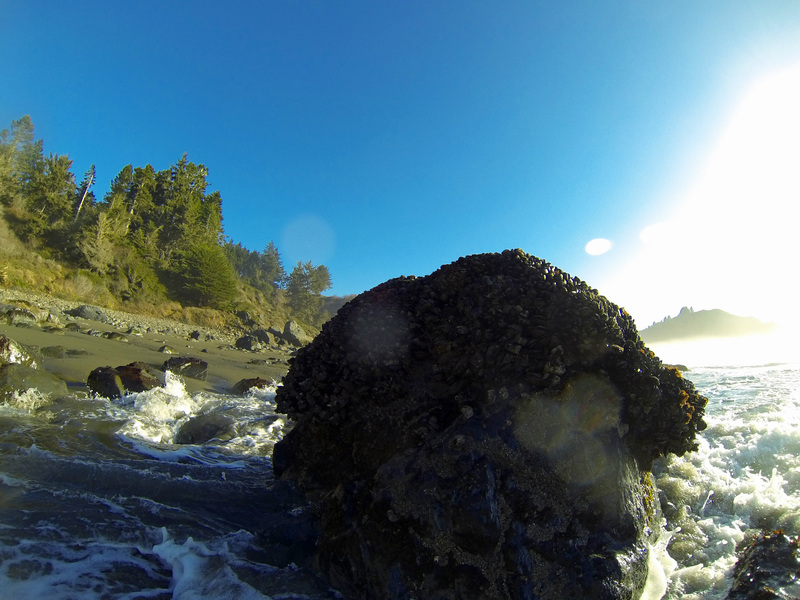 Ohhhh, baby, as I went around one big rock, BINGO, I found a whole ‘nother world on the side facing the ocean! 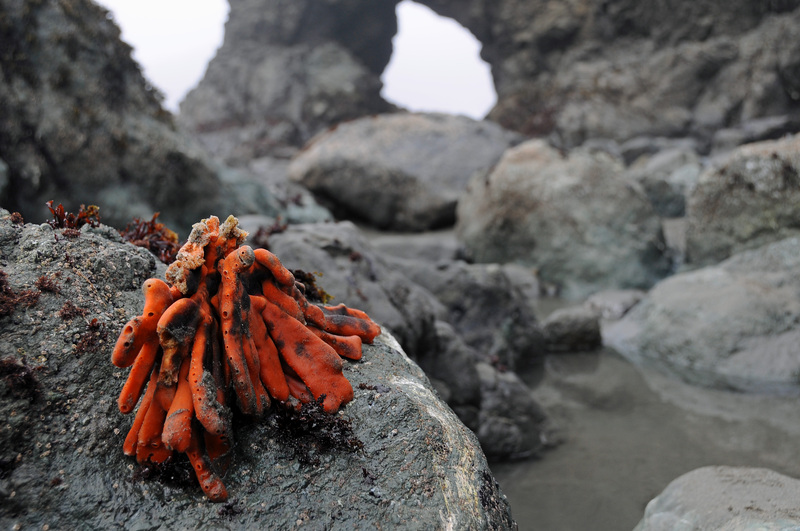 All above the low tide water line…gotta get the Nikon to shoot some really nice pics of this stuff! Went back to the car and traded cameras. I took off my sandals, took everything out of the pockets of my shorts, because I had to wade through ankle-deep water to get to this rock. Yeah, yeah, little waves roll through now and then, but the tide was actually still going out a little more. 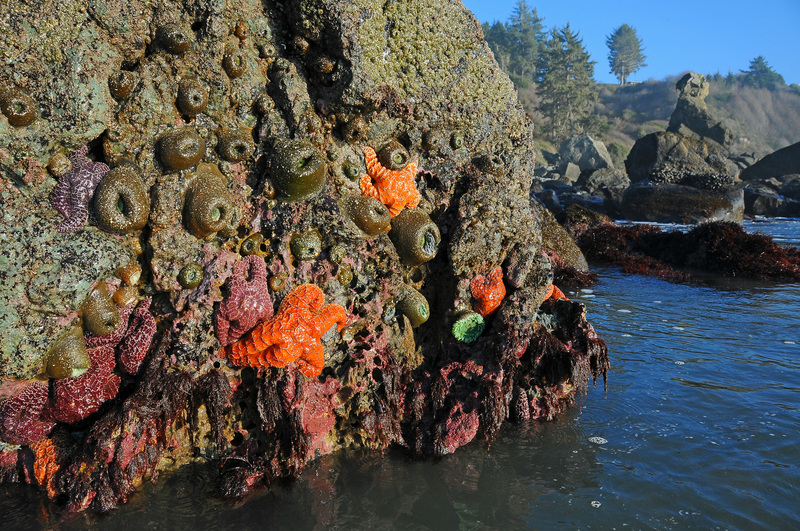 On the sunny side, facing an almost constant wash, was this mass of colorful salt water creatures! Ohhh, the sand gets washed away near the rock…up to my knees…ahhh, that little wave just soaked my shorts…better keep moving. But see how shallow the water is just beyond this big rock? 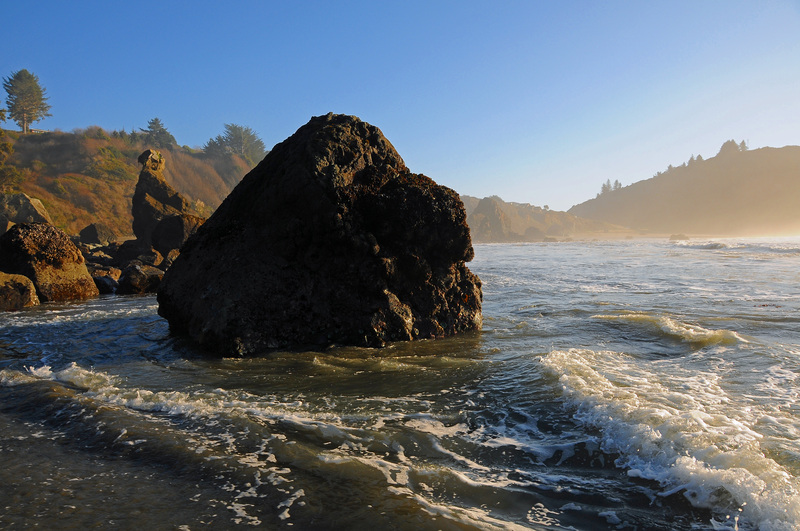 Better keep moving around the rock…whoa, drop-off…up to my waist…heading toward shore…uh oh, here comes a bit of a wave…whoa. Lost. My. Balance. I didn’t know the Nikon could shoot underwater. Uh-oh–did the Nikon also have an underwater housing? I assume the “Once” means that it did not. Ouch! I think if you send it in immediately for cleaning, it might survive, but the cost might be as much as getting a new one. Hmmm, don’t know the Nikon’s fate yet, Madeline…it’s in a box of rice drying out…but it had water inside, and salt doesn’t do anything good for a camera. I think it may need professional cleaning because of the salt water. I’d call Nikon and ask about it and ask how much it would cost to clean it–maybe not worth it if almost equal to the cost of a new one. Roger, they sure can hang on! Aww, I hope the camera’s ok. Great shots. Thanks, Mike. I think we’ll need to start calling it the Dead Nikon. Loved this posting and the shots! I “lost” a camera (and all the pictures on it) under similar circumstances in Maine many years ago. 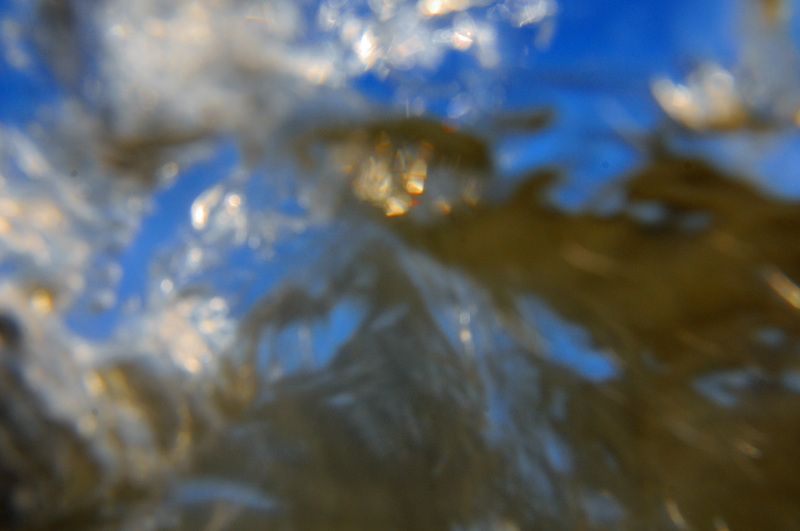 I slipped on some rocks in a tidepool, and down I went with the camera in hand. You have my sympathies.